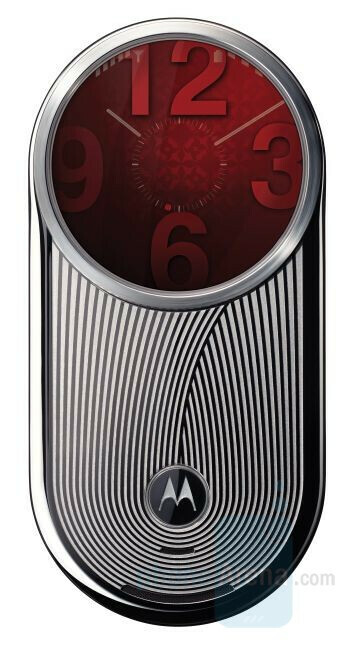 Starting today, Motorola will compete with Nokia’s Arte series and the small brands such as Vertu and Mobiado, trying to steal the hearts of the rich consumers craving for luxury phones. Here comes the AURA, uniquely looking handset that is claimed to have been crafted of top-quality materials. Its display is unique in the phone industry, with circular form, 16 million colors and 300 dpi resolution. To protect it from getting scratched, Moto uses Grade 1 62-carat sapphire crystal. The body itself is also not only pretty but composed of high-quality materials, made out of stainless steel, with chemically etched textures and patterns. Motorola claims its production takes nearly two weeks. The keypad consists of individual anodized aluminum keys. The company also says that thanks to a Swiss-made main bearing and unique rotating mechanism, the 100,000th opening will be the same as the first one. If you are impressed by the high-end materials and wonder what the specs are, we are sorry to tell you: as the other luxury handsets, the functionality is suitable for a mid-level phone. AURA is quad-band GSM (no 3G), has 2GB of memory, 2MP camera, music and video player and stereo Bluetooth. Its browser is said to be “Open Source” so we hope it will be a good one. 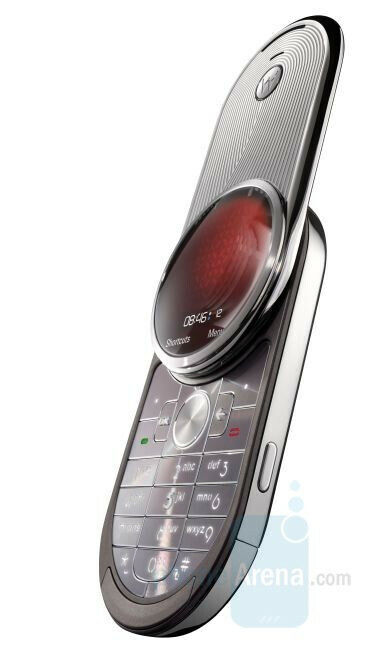 *Update*: Motorola now accepts pre-orders and is expected to start shipping the AURA on December 04, 2008. The price is $2000. Then again that's exactly why Motorola is announcing devices like these. Wow I hated the Touch interface on the Iphone. I agree completely. However, this is the first luxury phone that really lives up to the name, in my opinion. While I would never spend $2000 on a phone, this one is the first i've seen that doesn't look like a diamond studded 70s tv remote. (I'm talking to you, Mobiado lol) If it wasn't made by Moto, and I crapped money, I may go for it. As is, I wouldn't plop down a benjamin for it. this is an interesting phone, though it would be better if motorola upgraded their specs and added fm radio to it. Wow.... Haha, I'm confused. Is the giant red bubble the screen? I know that phones can be a fashion accessory, but that phone is just ugly. Sorry Motorola, I don't think luxury phones are your forte. Who would pay $2000 for a V70 with a makeover? The V70 was worthless 5 years ago... Get with it Moto! GOTTA SAY I'M NOT A BIG MOTO FAN, BUT AS FAR AS LOOKS AND INNOVATION GOES THIS IS SPOT ON. NOW IF IT WERE AN LG AND ON THE VERIZON NETWORK....I'D CARE A LITTLE BIT MORE.